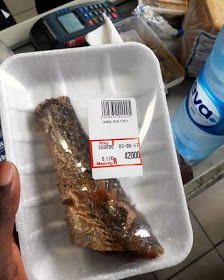 A tail of fish only? Instagram user, Officialchrisay shared the above photo of a prize of a tail of fish at a Lagos supermarket. 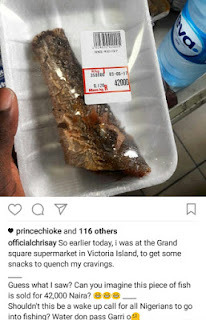 0 Response to "Checkout This Piece Of Fish Sold For 42,000 Naira At A Lagos Supermarket"